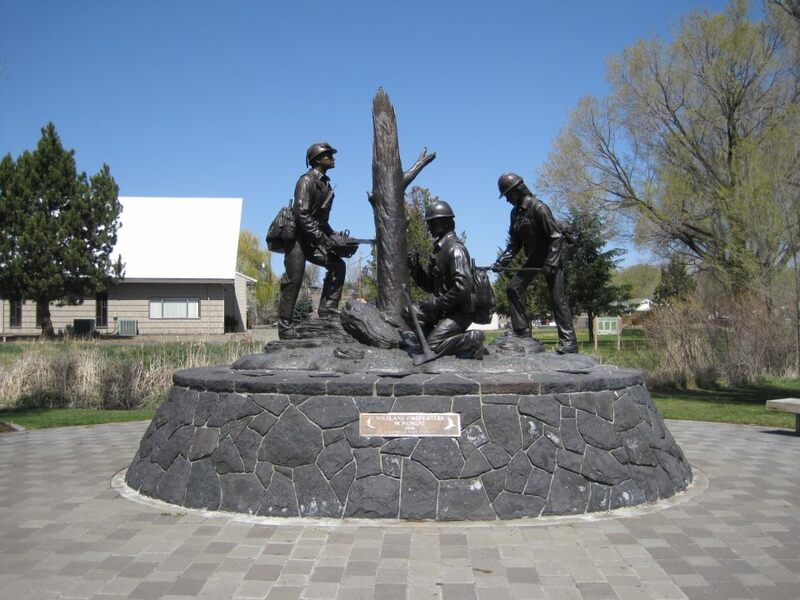 The Wildland Firefighters Monument was built in 1996 in memory for the nine members of the Prineville HotShots who were a part of the 14 firefighters that died July 6, 1994 while fighting a fire in Glenwood Springs, Colorado. The monument received the harsh side of vandalism in early August of 2018, having a radio and chainsaw missing. Our generous community donated over $16,000 in just over a weeks time. Full repairs have been made to the monument, and plans of adding lighting and security cameras are underway. Please enjoy this video that was made by a local resident, Austin Patterson. Other articles on the monument can be found at these links.